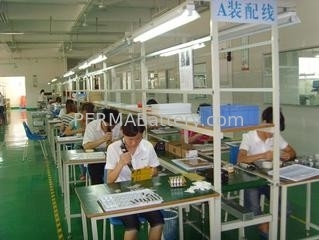 PERMA TECH Co., Ltd. designs and manufactures a wide range of high quality custom battery packs, from design to prototyping to manufacturing, which combine fast delivery, high quality and unbeatable value added service. All PERMA Battery products are designed and tested to meet the most rigorous application conditions, and manufactured in compliance with the most strict industry standards. We are highly focused on delivering high-performance battery packs custom designed to meet stringent quality requirements and tight production schedules. PERMA Battery team goes beyond designing and manufacturing the custom battery packs our costomers rely on for perfecting their products and applications. We strive to provide excellent service - a commitment that requires us to listen closely to and meet our customers' specific needs. We take pride in delivering products with a short lead time, on schedule, and on budget. 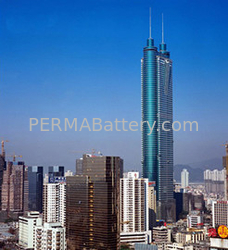 PERMA Battery offers a variety of services to our customers to assist them in developing a product that is ideally suited for their specific requierments. PERMA Battery offers full Custom Battery Design support to help in creating a battery pack that suits the product seamlessly. We work with customers to provide the battery pack with optimal chemistry, size, capacity, configuration, working voltage range, working current range, operating temperature range and terminal to meet varied application demands. PERMA Battery offers assistance in United Nations testing for Transport of Dangerous Goods. All Lithium Metal and Lithium Ion battery packs can be UN38.3 certified in a timely and professional manner. We can ship all of our battery packs globally by air or by sea, and can meet customers' specific requirements anywhere around the world. Besides, some other certification such as UL, IEC62133, CSA can be applied for our battery packs from our local testing authorities as well. For the innovative new projects, the matching parts such as the battery casing and other plastic parts can be made for your prototypes promptly by the high precision 3D printers at our partner factory here. To go with our battery packs, the complete solution including the electronic parts can be provided for your electric devices with our reliable sources here as well. Anyway, whatever we are endeavor to do are trying our best and expertises to provide our valued customers with unexpected and superior service.